And I’ve also been hard at work this month in Washington, DC. I’m excited to tell all of you first: this week I’m introducing a bipartisan bill that I wrote – the Broadband for All Act. In large cities across the country like Seattle, the economy is cooking. But, beyond the shadow of the Space Needle, the story is a little different. In too many areas of our state – and throughout our country – there are still a lot of people being left behind. I say often that my main job in Congress is creating more economic opportunities for more people in more places. As a guy who spent a decade working in economic development professionally, I wish I could tell you that there was a silver bullet to job creation. But I don’t think that’s true. I think it’s more like silver buckshot. The fact is that there are a lot of pieces to the job-creation puzzle. One of the big pieces in 2018 is connecting everyone in the country with the tools to compete in our fast-changing economy. One major hurdle where we live is the lack of high-speed internet access and options. While 98 percent of residents in urban areas have access to broadband internet, more than a third of Americans who live in rural areas don’t have access to broadband internet. 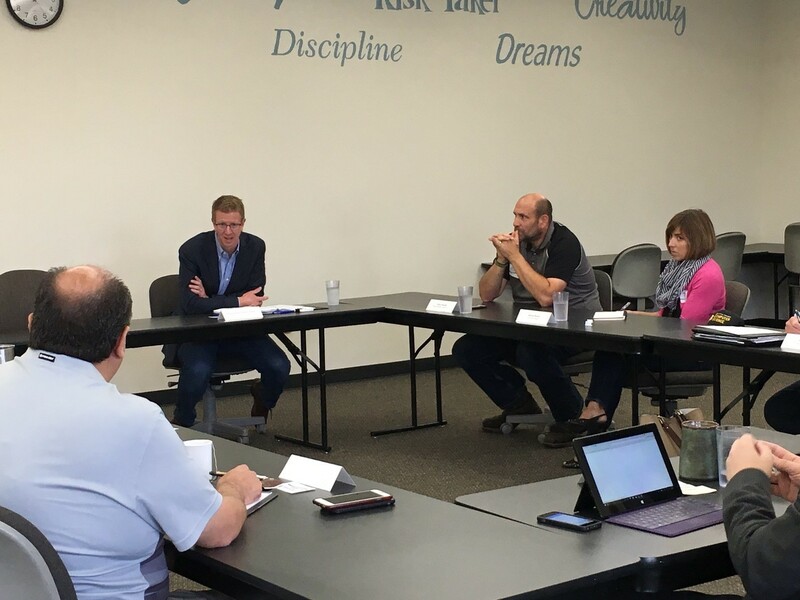 Over the last couple of weeks, I visited with entrepreneurs, tribal leaders and school officials in Grays Harbor County and Clallam County. They provided some great examples of why this issue matters. A tribal leader I met with told me the lack of internet options in our region meant their library doesn’t have computers that can access the internet. This may seem like a simple thing, but using the internet is quickly becoming the main reason people use libraries. Imagine how frustrating it would be knowing you’re qualified for your dream job, but not being able to email your resume to the company, or submit your application online at your home or the local library. Think about how much simpler looking up information about a prescription drug is for a retiree who isn’t exactly comfortable on a computer when they can use a library computer and get a little help searching from a librarian. Job-seekers aren’t the only folks affected by the lack of internet options. Employers are too. I also met with Julie Knott, the Interim Executive Director of the Clallam County Economic Development Corporation. She mentioned the challenge of coordinating recent economic development efforts on the Olympic Peninsula when some of their partners don’t have internet access. That made collaborating and sharing information more challenging than it ought to be. As an example, she mentioned a recent business fair in a community that’s not yet on the internet grid. Local business leaders, bank lenders and government officials showed up. But without the internet, it was really hard to share information, connect on networking sites like LinkedIn, send on-the-spot follow up emails or even just show a company website to someone who wanted to learn more. At our meeting, an IT official from a local school district told me the school is sending laptops home with their students as part of an awesome new curriculum where teachers can give lessons in the evening (full disclosure: my daughters don’t think this is as awesome as I do). But, the lesson requires an internet connection. Kids will need to be able to connect online at home in order to get the most out of the program. This problem also affects folks across our region who want to capitalize on the region’s tourism economy and make a little extra money by renting an extra bedroom in the house out through a website like Airbnb or by starting a side business on Ebay or Etsy. The lack of high-speed internet options affects every part of our region’s economy. It’s a challenge Congress should help with. This week I’m working with Representative Elise Stefanik, a Republican from upstate New York, to introduce the bipartisan Broadband for All Act. With the Broadband for All Act, rural communities like ours can help put themselves on the grid. The bill creates tax credits of up to 75 percent of the cost of building the “last mile” of broadband infrastructure that connects their homes and business to the existing internet grid. Every community is different, and this tax refund applies to all types of technology, so communities can choose the best options for them. That will drive competition that lowers costs in marketplaces where there currently is no competition. I gave The Peninsula Daily News a sneak peak of the bill last week. You can read a little more about it here. Last week I participated in a hearing where former Secretary of Defense Leon Panetta, and longtime public servant Representative Dave Obey shared their thoughts on how Congress should fix our nation’s broken budgeting process. I shared my thoughts on that in this op-ed for Time a few months back, and I volunteered to be on a special temporary House and Senate Committee tasked with presenting some solutions to the problem. We are working through the Summer and Fall, so I’ll be sure to update you on that as we go. Finally, I’ve visited with a lot of you over the last few weeks. Here are some of the highlights. I participated in some terrific events to celebrate Independence Day. 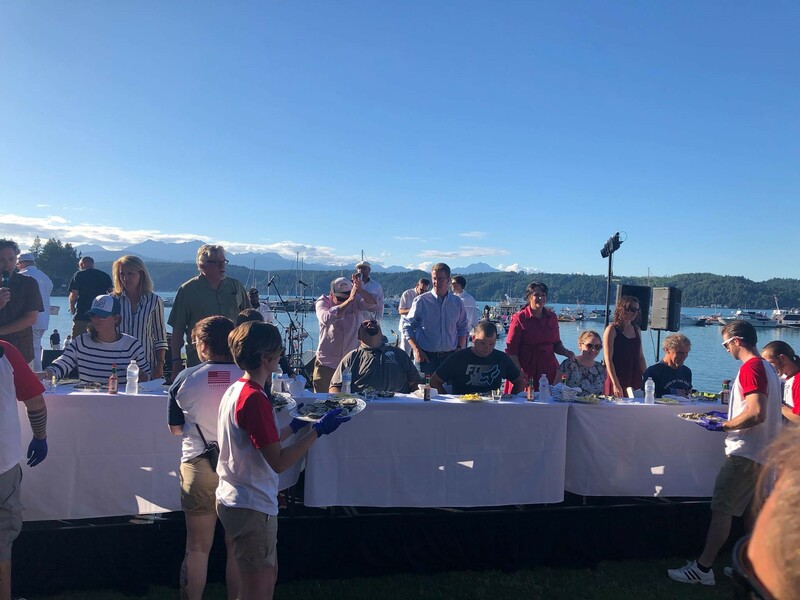 On the 3rd, I was at Thunder on the Canal at Alderbrook where I served as a guest judge for the oyster eating contest. It was ... disgusting. This year’s oyster eating champion was Rob Snyder who ate 142 raw oysters (my stomach hurts just typing that). 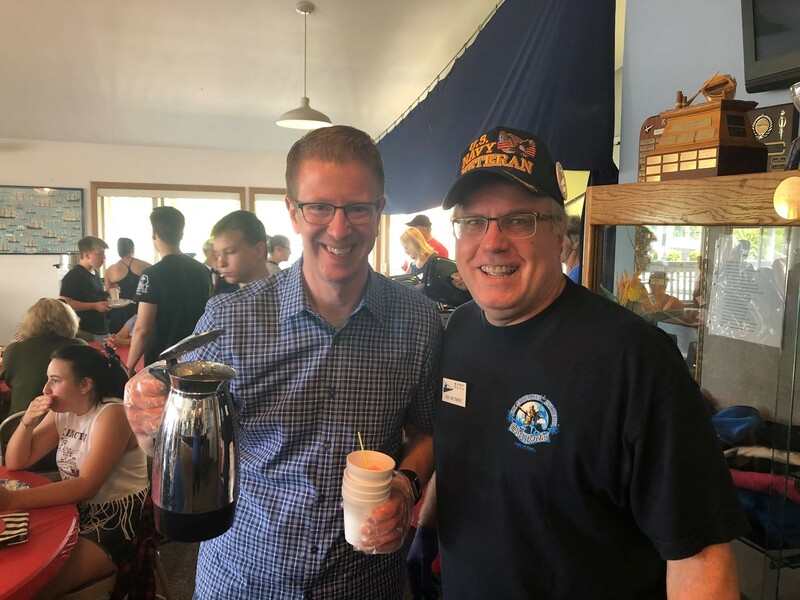 On the 4th of July, I participated in a pancake breakfast at the Kingston Cove Yacht Club, which was helpful carbo-loading for a whole lot of parades. 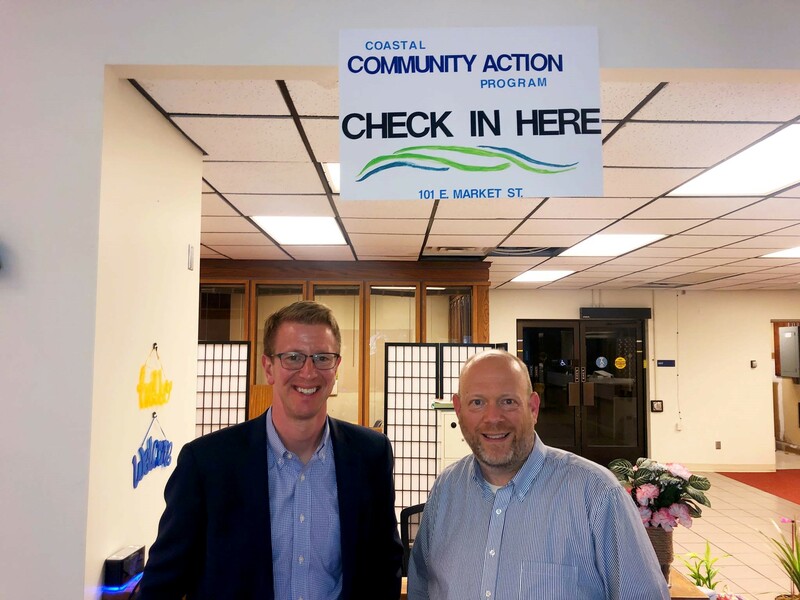 I had a great meeting with Craig Dublanko, the CEO of the Coastal Community Action Program in Aberdeen. As many of you know, CCAP’s headquarters was in the Aberdeen Museum which suffered a devastating fire in June. Craig and the team were back up and fulfilling their vital mission serving the community in just five days. These folks inspire me with their resilience and compassionate work. #CCAPStrong. 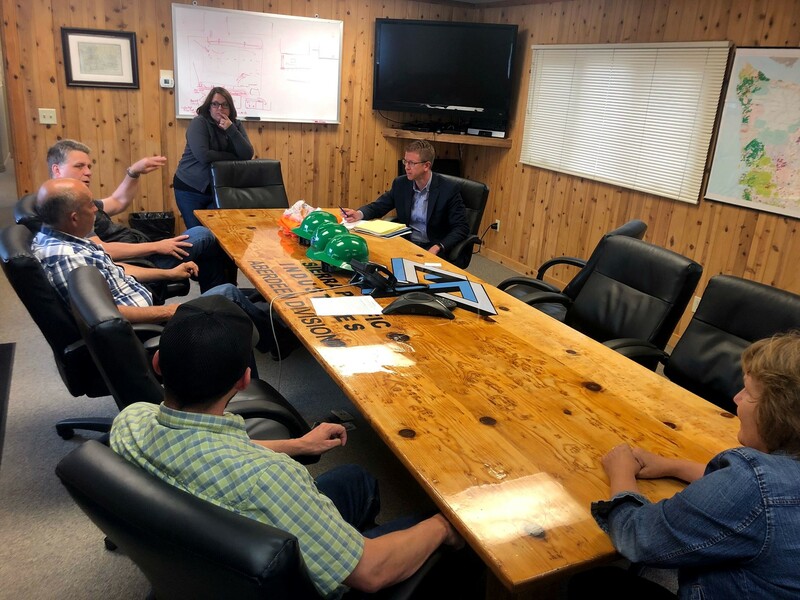 Finally, I had a terrific Kilmer at Your Company visit at Sierra Pacific’s mill in Aberdeen. I’m psyched (and want to help!) when anyone is growing jobs in our region! If you would like me to come visit your workplace, contact my office. That’s it for now. Stay tuned for updates on the rural broadband bill this week on Facebook and Twitter. As always, I’m honored to represent you.